E-commerce sales in the European Union increased by double digits in 2017 to hit €602 billion, yet VAT fraud costs EU member states as much as €50 billion each year. The reason? While the EU has standard rules on VAT, they may be applied differently in each country—and cross-border e-commerce only complicates matters as it requires online traders to register for VAT in each of the member states in which they sell goods. That’s why the European Council recently adopted new rules to make it easier for online businesses to comply with VAT obligations. However, these regulations won’t start coming into play until 2019. Unlike sales tax, VAT (value-added tax) is collected by all sellers of goods and services at each stage of the supply chain. That means that suppliers, manufacturers, distributors, retailers and end consumers all pay the VAT on their purchases. By comparison, sales tax in the U.S. is imposed only on the final consumer. Online traders based in the EU and selling goods online to European consumers must consider distance selling rules. Distance sales are goods dispatched to a private consumer in another EU member state and the supplier is responsible for delivery. These rules are important when it comes to EU VAT and can catch out a lot of European online traders. But they can also help sellers expand throughout the EU while keeping their cost of compliance down if used correctly. Distance selling rules enable you to sell cross-border to customers within the EU up until set thresholds are met. Before the thresholds are met, you will apply the outbound country’s VAT rate on your sales. Once you exceed the threshold for the buyer’s country you must then switch to the domestic tax rate of that country and ensure you are VAT registered in that member state. For example, the distance selling limit is £70,000 in the UK and in Germany, it’s €100,000. So, if you are VAT registered in the UK and you begin distance selling to Germany, you will still file and apply for VAT refunds in the UK up until you hit the €100,000 in sales for the year. After you hit the threshold you will then file for VAT returns in Germany. Once you are VAT registered in another country, ensure that you only charge VAT in one country, meaning that once you are over the threshold you will be charging VAT in the country of the buyer. Who is the importer of record? If you are holding your stock outside the EU or drop-shipping your products from outside the EU, the responsibility for taxes and duties depends on who the importer of record is. If the customer is the importer of record, they will be liable for the import duties and VAT when products are imported. An option to avoid this would be to register for VAT in the first port of entry into Europe. In this case, you will be able to reclaim your import VAT on your VAT return. All sales to customers in the country where you are registered must include the local VAT rate. Which countries are you holding stock in? 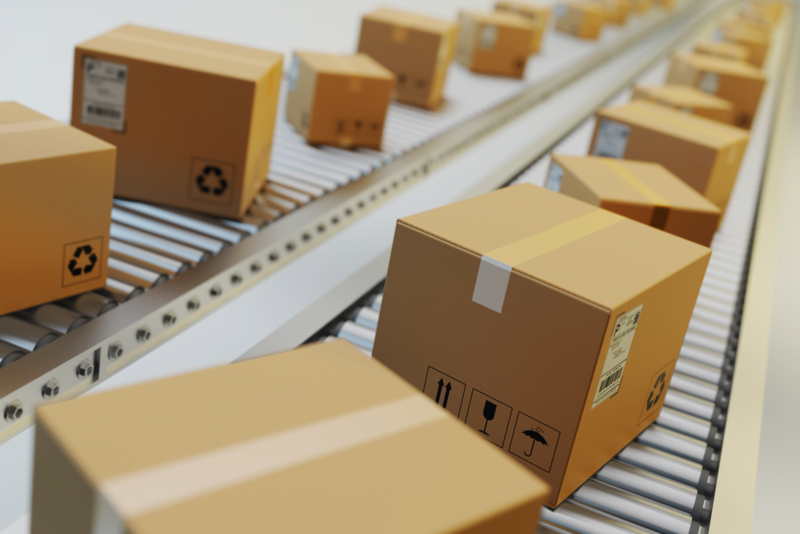 If you are using fulfillment centers to store goods in an EU country, you have created a taxable supply and will need to be VAT registered immediately. The important thing to note here is that once you have VAT registered in one EU member state, then you will fall under the distance selling rules. Just to add to the complexities of European VAT, each member state has its own reporting threshold called Intrastat declarations. These are mandatory statistical returns that allow the tax authorities to monitor the movement of goods within the EU. More commonly reported by e-commerce sellers are EC Sales Lists (ESLs). These document intra-community B2B sales as well as stock movement between EU countries to manage the movement of taxable supply. They are filed in the outbound country alongside your VAT return. Before shipping your products to Europe, you will need to apply for a European Operator Identifier Number (EORI). This is linked to your VAT number and allows customs officials in Europe to identify your shipments and issue documentation that allows you to reclaim the import VAT that was paid at customs. The VAT and EORI numbers go hand in hand when making a shipment to Europe, so ensure that your shipper includes both numbers in your bill of lading. Exporting can require expertise and some good strategic planning, so consider using a fulfillment center or a third party to fulfill your shipping needs. Amazon can provide you with direct access in their pan-European program, but you will need to be VAT registered in seven countries straight away. Choose a marketplace best suited to your business. Enlist the services of a translation company. Getting experts in the field to help will not only ensure you are compliant but that every penny is used in the right way. Look to use an international consultancy that can help to ease the pain of growing globally. This then frees you up to grow your e-commerce business in a positive way without getting bogged down by the bureaucratic processes of local government. 5. Are you selling digital services cross-border in Europe? Even if you’re selling digital services cross-border, you still need to consider VAT. This is where VAT Mini-One-Stop-Shop, or VAT MOSS, comes into play. For a full explanation, see here. The aforementioned new rules introduced by the European Commission will come into force on January 1, 2021, simplifying VAT for the supply of electronic services as well as telecoms and broadcasting services. This is set to reduce costs for business by up to 95 percent. The first phase of the new rules will be a threshold for application of the existing MOSS system. Two years later the MOSS system for VAT reporting and payment will be extended to all types of services and goods. 6. What happens if you fail to comply? The EU recently began cracking down on e-commerce sellers and marketplaces such as Amazon and eBay for tax fraud, so deciding to ignore VAT when selling internationally can have huge consequences for your business. Not only can it cause a huge amount of stress, but your entire business could be under threat should you fail to comply. Allow time to obtain a VAT registration. It can take anywhere from two to 10 weeks depending on the country. Consider getting help from an international VAT compliance expert as it can be a tricky process and non-compliance could have a severe impact on your e-commerce business. eDesk is the next-generation helpdesk, built for eCommerce from the ground up. It natively integrates with all of the major marketplaces, saving you time, money and headaches. Start your free trial today to simplify and scale your customer support.